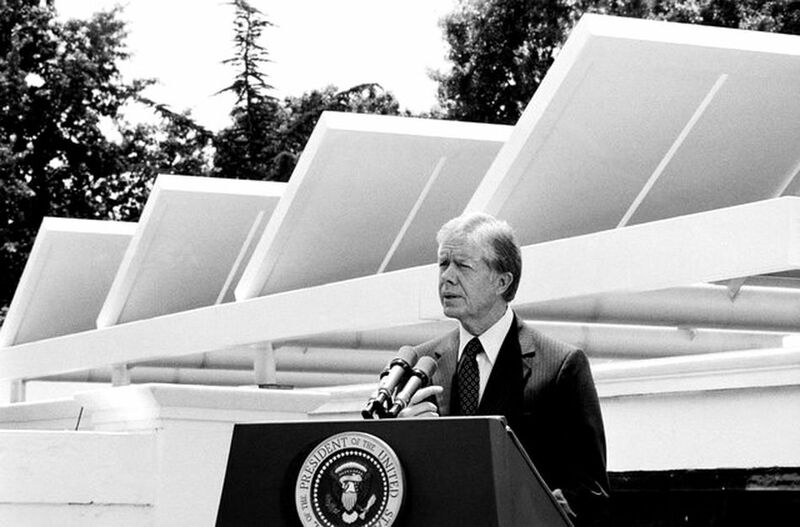 Back when Jimmy Carter first installed solar panels on the White House, solar was not cost-effective, but the point was made—the future of energy would eventually need to be low carbon. The transition to lower carbon forms of energy is exactly what is being discussed in Paris right now at global government levels, with an agreement forthcoming later this week. Value has been destroyed in the US coal sector over the past few years like no other. Peabody Energy has lost well over 90% of its value over the last 3+ years alone. The large oil companies have been strongly affected by the lower price of oil, which the IEA says may well go even lower. With Saudi able to pump oil at low prices, pressure will remain squarely on the large public companies such as ExxonMobil, Shell, and BP, all of whom are rapidly trying to evolve into natural gas. Methane efficiency will also be a focus as will the potential for wasted capital expenditure. The Clean Power Plan has not only helped kill the coal industry but also put utilities under pressure to get with the times and switch to gas and other lower carbon alternatives. Labor also has a strong say in the outcomes here, with calls for a Just Transition making a lot of sense, to ensure that robust jobs are created through this transition. Suffice it to say that energy will remain fluid, and investors would be wise to pay close attention, as value has been and will be created and destroyed due to climate change strategies and policies. Around the world, watch for new opportunities in Africa, India and throughout Asia on this basis to continue to emerge. With electricity generation the largest part of the carbon footprint, this is only to be expected. If you are wondering why climate change is important in this sector, not only does it make up 25 percent or so of the global footprint, it is also likely to be affected first by the expected increase in global water shortages. The large food companies are all making major moves on climate change as a result, including General Mills and Kellogg. Palm Oil is a series problem as well, and expect conservation to emerge as a key method to preserve the remaining valuable biodiversity and rainforests needed for human and global protection. Better farming practices will also be needed especially as phosphorus and other resources are expected to become scarcer. If you are an investor who thinks environmental considerations aren't material, you might want to take a closer look now. These are now issues of significant financial value, not just ethics. The rising sea level also has implications. Another sector where significant value is being created and destroyed is in transportation. Apple and Google strive to enter the auto sector. Uber has transformed taxi services. Tesla has been a very strong financial performer and is also a major player in energy storage and technology in general. The older players are struggling to play catch up, though BMW, Ford, and Toyota continue to make inroads, older players such as VW and GM have experienced hiccups. The trucking sector is also fully expected to become lower carbon, as trucks have a short shelf life. High-speed rail continues to also develop. Planes will continue to fly, but they are increasingly fuel-efficient and Airbus and Boeing compete on this factor. What sector is not driving value through sustainability strategy now is another question worth asking. By some measures, buildings have the largest carbon footprint in the world. Studies increasingly show that "greener buildings" may well financially outperform. Tenants like working in such buildings, and are more likely to stick around. Large investors such as Norges Bank are gradually increasing their investments in the space, and investors are mindful of the rise of the cities as the place to be for such activity. Watch for better infrastructure and buildings standards to continue to emerge around the idea of "positive additionality" and for value to be created through smarter forms of investing in this regard. There is also a clear need to scale up energy efficiency in general, with some calling for between 500 Billion and 1 Trillion dollars in this area alone, and retrofitting creates jobs, so this too would affect other related supply sectors as well in a positive way. The final component of the global footprint is Industrial Processes, all of which are increasingly under the gun to squeeze returns out of older business models. Dow and Dupont are discussing a merger partly due to activist pressures, but also to find just a bit more efficiency. GE has long moved into their ecomagination work for similar reasons, as have companies from Siemens to BASF and beyond. Innovation will also drive this conversation, not just through the circular economy and other closed-loop mechanisms, but also check out the work of dMass, which should only become more relevant as companies need to look beyond traditional means to increase efficiency and improve processes and profit.